Doing regular exercise such as walking, swimming, going to the gym or participating in team sports can have health benefits, allow you to meet new people, boost your energy levels and even improve your mood. It could be cycling to work, taking your dog for a walk or playing football with friends. Moderate exercise has been shown to be one of the 'Five Ways to Wellbeing'. Why disabled sport matters - Sport England. National Disability Sport Organisations - links provided by England Athletics. Disability and cinema access - the CEA Card allows you to obtain ONE free ticket for the person who is accompanying you to enable you to visit the cinema. 'Doing Sport Differently' is a comprehensive guide from Disability Rights UK to accessing sports and leisure opportunities in your area. It is written by and for people with lived experience of disability or health conditions, to inspire involvement in sport and fitness and improve access to grassroots sport. Disabled Activities & Sport - national and international organisations related to recreational activities and sports for disabled people. 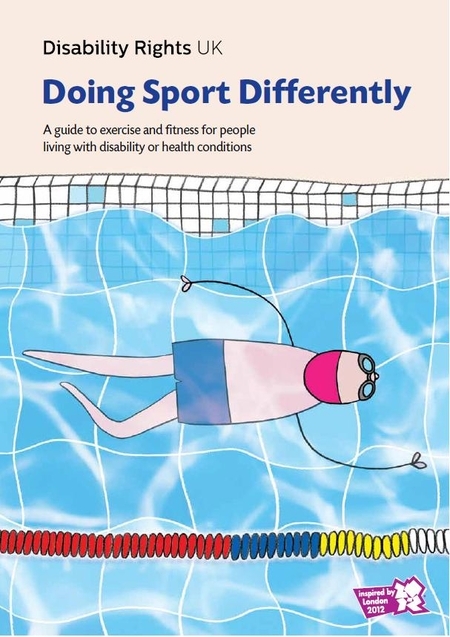 Our library at our Norton Street centre has more information about sport and leisure, including a copy of the book Doing Sport Differently: a guide to exercise and fitness for people living with disability or health conditions.